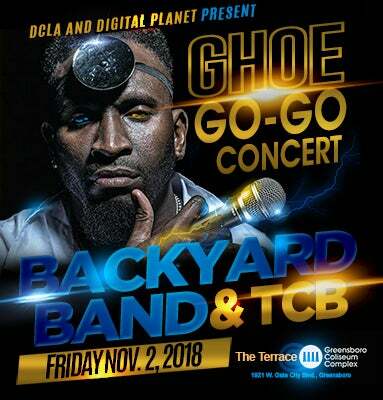 BackYard Band with special guest TCB will take the stage on Friday, Nov. 2 as part of the Greatest Homecoming on Earth’s Go-Go Concert at the Terrace at the Greensboro Coliseum Complex. Tickets will go on sale Friday, Sept. 28 at 10 a.m. at www.ticketmaster.com, charge-by-phone at 1-800-745-3000 and the Greensboro Coliseum box office. For reserved VIP table seating call 1-860-800-3252 or [email protected]. All patrons must be at least 21 years of age to attend.